It took only 25 minutes before the L.A. City Council’s Planning and Land Use Committee denied an appeal filed by Palisadians Louis and Wendy Magur regarding three aspects of the Caruso Palisades Village project on Oct. 25. The appeal alleged improper noticing of a key Board of Building and Safety hearing on Oct. 10, questioned the safety of the dirt that will be excavated for Caruso’s underground parking structure, and challenged an approved haul route that will be used to transport the dirt to Potrero Canyon. The board secretary for the City Planning Department testified that she had given out proper notice and that the Department of Transportation had approved the route. The Bureau of Engineering’s Norman Mundy added that the California Department of Toxic Substances had approved the soil for unrestricted use. By donating 122,000 cubic yards of dirt from its construction project, Caruso Affiliated will not have to pay to transport it to a distant location, and the city will save an estimated $3 million by not having to import dirt to complete Potrero Canyon Park. Lou Magur, who lives with his wife along the Potrero rim, said that according to city regulations a sign should have been posted next to the site, but wasn’t. He told Councilmembers Jose Huizar (Chair), Marqueece Harris-Dawson, Gilbert Cedillo, Mitchell Englander and Curren Price Jr. that the environmental impact review referenced by the city in the report was from 1985. Magur was joined by Huntington Palisades resident Lora Fremont in noting that the dirt should have been tested by an independent entity. Tetra Tech was hired by Caruso Affiliated to test the soil. 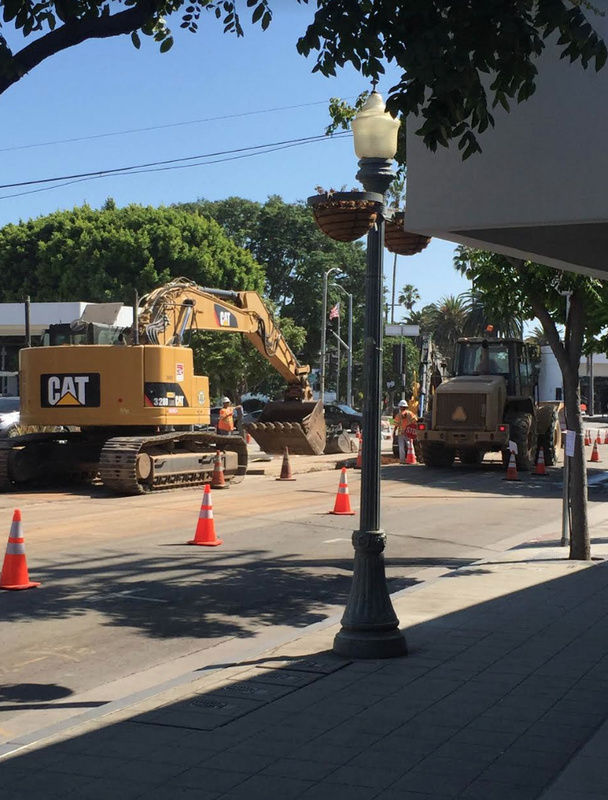 Fremont had sought out a specialist from UCLA who read the report and told her that the dirt below the existing parking lot off Swarthmore Avenue had not been tested. Several Palisades residents at the hearing argued that Chautauqua is not a desirable haul route road because of its blind curves, its already deteriorating surface and the impact the trucks (perhaps six an hour, six days a week, for 10 weeks) will have on an already congested intersection at Pacific Coast Highway. Other residents, such as Monument resident Jay Rosenthal, contended that Chautauqua is safer because it means all right turns along the haul route, instead of having the trucks travel down Temescal Canyon Road and then turn left off PCH into Potrero. Nicole Howard said this route makes more sense because trucks full of dirt won’t be going past Palisades High before school begins and when classes let out.